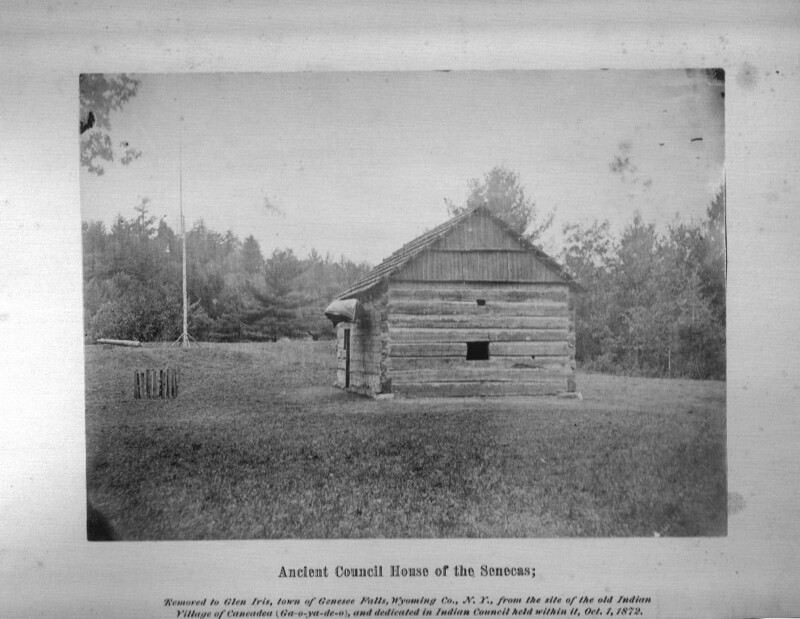 "Ancient Council House of the Senecas"
This interesting photograph comes from the early years of the Council Grounds. 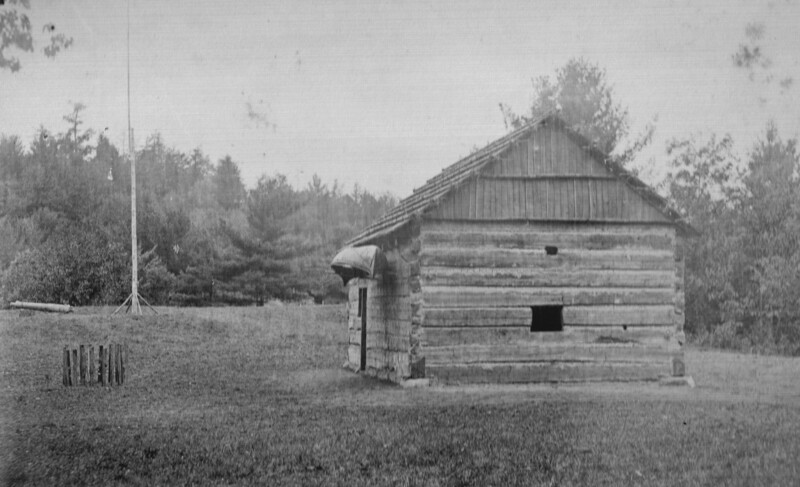 Mr. Letchworth purchased the old Seneca structure and had it moved to the bluff above the Glen Iris in the winter of 1871. The building was restored and dedicated in 1872. The photographer was standing east of the Council House, looking west. A canoe hangs on the Council House, nearby by a small tree has been planted. Across the empty grounds is the King George Cannon and wooden flag pole. In the coming years Mr. Letchworth would add more to the Council Grounds, including the Jemison Cabin, a museum, caretakers cottage, and the grave and memorial to Mary Jemison. The exact date of the image is not known. Since the dedication is mentioned in the label, one would think the photograph was from 1873. But it appears that an earlier image was used to create this souvenir of the Council Grounds. See the enlarged image below for more details. Also below we added a second photo, taken perhaps a year after this image was made. Note the cameras near the planting on the left. The planting to the right of the Council House might be the Black Walnut that was planted by Kate Osborne with the help for former President Millard Fillmore during the dedication of the Council House in October 1872. Top photograph from the collection of Karen Gibson Strang, bottom photograph from the Letchworth State Park archives.